In episode #89, Sarah and I eat a sweet breakfast with Romena and Luigi, eat amazing sandwiches at Universo Vegano (Vegan Universe), give a tour of the apartment we stayed in, eat vegan gelato and a huge pizza to ourselves with Mauro. In episode #56, we explore Coexistence Vegan Cafe, an all vegan restaurant located near dapsimni station in Seoul. Delicious food, great atmosphere, and good prices. In episode #47 my kindergarteners take a trip to Mr. Pizza. They learn how pizzas are made and even make their own pizzas. In episode #39, I make Patbingsu with my 5 and 6 year olds. Patbingsu is a Korean shaved ice dessert with sweet toppings such as chopped fruit, fruit syrup, rice cake and red bean paste. 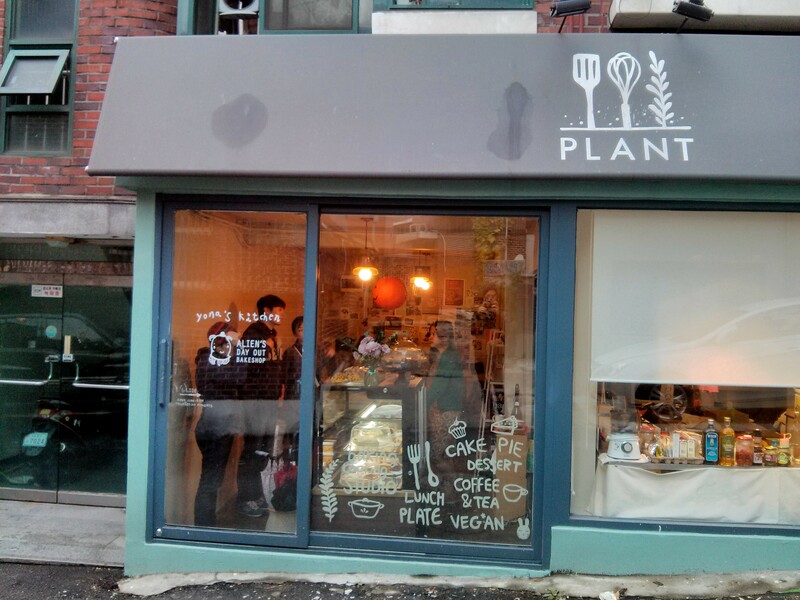 in this episode, we show you PLANT, an all vegan cafe in Itaewon. 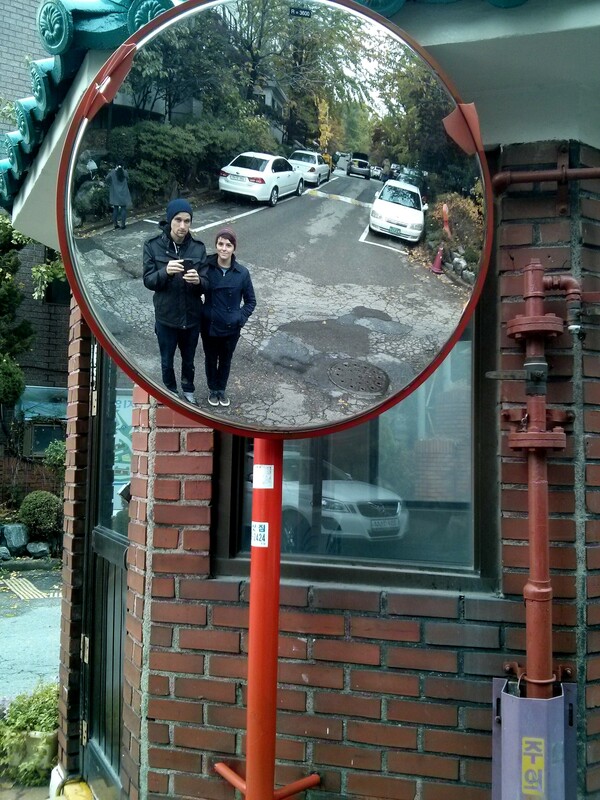 this is one of our favorite places in seoul. PLANT is an all vegan cafe. this is incredible since if we want to have an all veg menu we usually have to go to the religion crazy loving huts. the restaurant is run by mipa, the rather popular blogger for Alien’s Day Out. she bakes and makes some amazing lunch type meals. the baked goods range from cake slices and cookies to scones and oreo brownies. the meals are usually some sort of sandwich, wrap, curry, or stew with a side. baked goods range from ₩2000-5500 and the meals are ₩12000. We are both vegan. We also live in the way out country in Korea. For the first few weeks we lived on rice, tofu, and vegetables and that was okay. In fact it was delicious and not far off from how we ate back home. But I am a picky eater and I like to maintain a certain level of not only variety but nutrition in my diet. I got bored and hungry and concerned about things like protein and whatever else. My Mom recommended this site to me. Before I left Oregon actually. I was whining to her about how I wouldn’t be able to get my brand of toothpaste or favorite essential oils while in Korea. (can you tell who is writing this yet?) 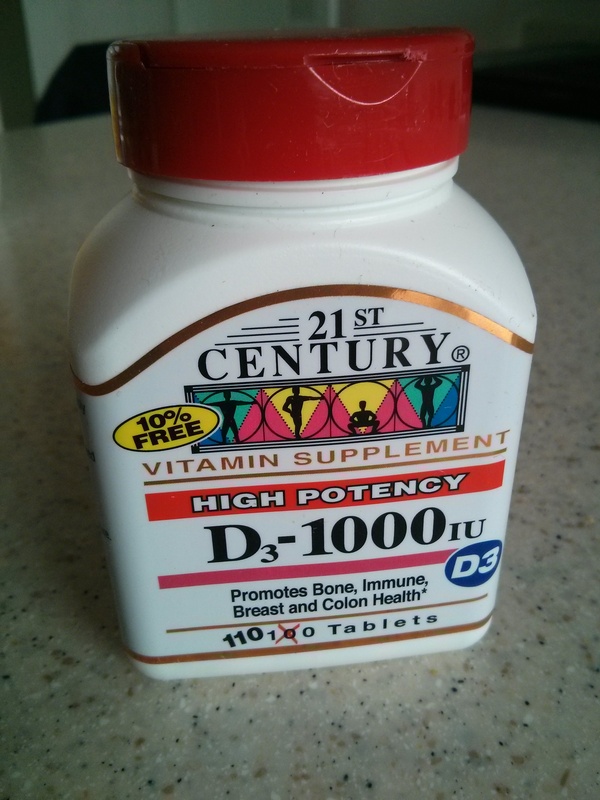 She told me that she used this site regularly because she also lives in the boonies and it’s cheaper for her to order it online than to drive to the nearest health food store. So we ordered from this site. Twice. It was like Christmas. So many goodies and things we hadn’t seen for weeks. This was our latest haul. We keep it under 16lbs for shipping costs. all the goods yum! yum! this was a “trial” since it is a new item. 54oz for $15. whoa awesome! this was free! each purchase with iherb gets to choose from a list of free items. Sean took photos as I impatiently waited to start soaking some chickpeas. Can’t wait to mash em up into hummus. Or throw some into a soup. Variety is where it’s at. And nutrition too. 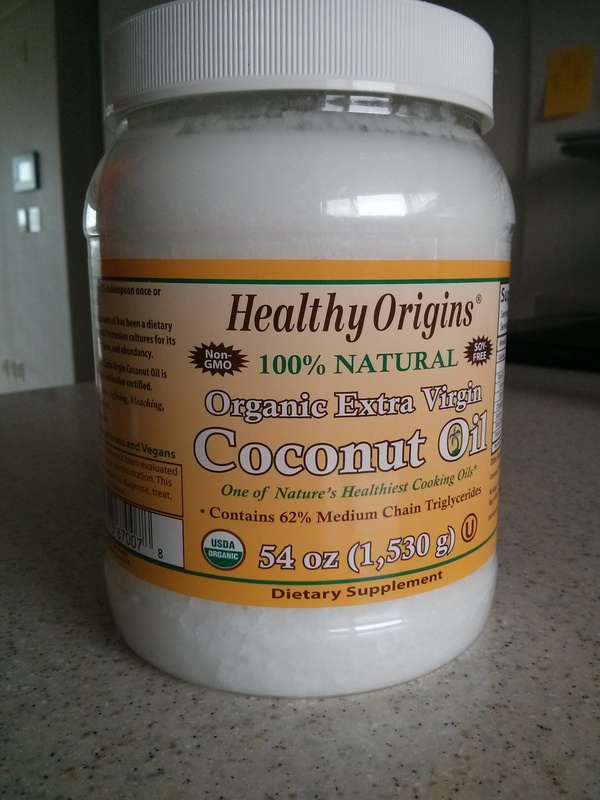 If you’re interested in iherb I highly recommend it. As I mentioned in the captions there are fantastic deals to be had. Whenever they get new products they put them “on trial” so you get things for 50% off or more. They also have weekly 20% off specials on various brands. And there are free items. It’s usually things under $3-$4, but sometimes they have books or something really great. They also sent us that tote for free and this was only our second time ordering. 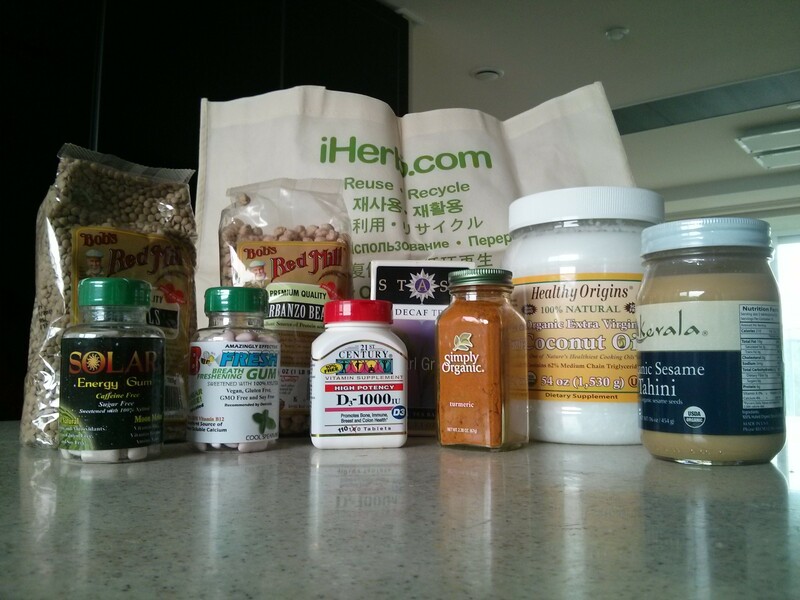 After visiting international groceries in Seoul, I can say for sure this site is cheaper and has way better deals. Best part for us though, hands down, has to be the $4 shipping to Korea! What! So great. Your first purchase at iherb is $5-$10 off, and they give fantastic discounts, including for orders over $60 and on multiple purchases. The link we shared goes to our page where there is a promo code for the discount. iherb is steadily becoming like a grocery store to us. Are there any other great sites out there for purchasing internationally? Let us know! 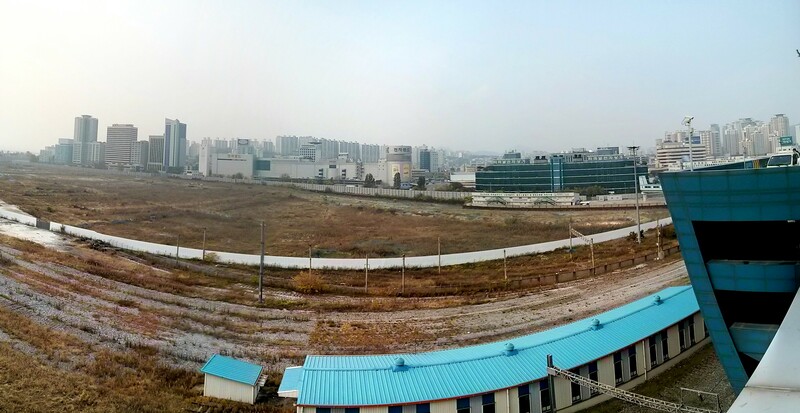 Sarah and I decided to get out of Sinpyeong for the weekend so we packed up the car and headed to Seoul. The drive took 3 hours even though it was only 70 km away. Some advice, leave late at night if you are going to Seoul from anywhere in Korea. But really, it’s always going to take a while to get there. 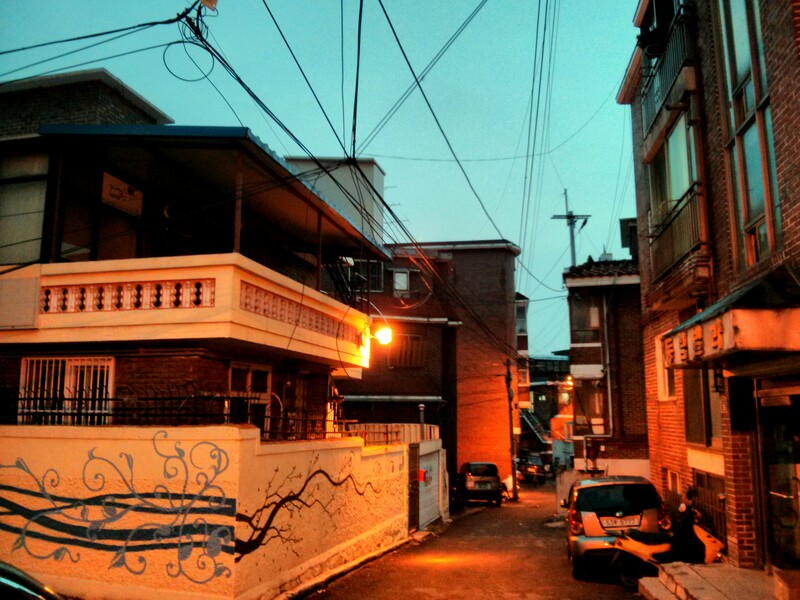 We booked a hotel in the Itaewon district which our boss told us was full of foreigners. We thought it would be the best place to visit for our first trip, especially if we wanted to get some vegan food. We arrived at the Crown Hotel and parked for the weekend. There was a wedding convention going on at Crown so there were people everywhere. We found our room and were pretty happy with the accommodations. Especially the location and built in side table digital clock. We mapped out the distance to a vegan restaurant and headed there first. 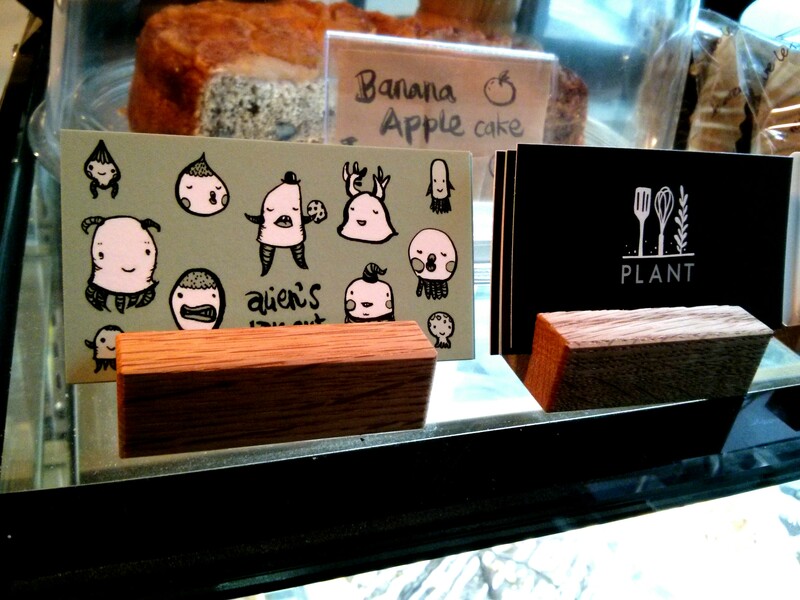 It is called PLANT, and includes a selection of vegan baked goods from the veg in Korea blog Alien’s Day Out. We have been spoiled living in Portland so it was nice to have vegan options again. After this we left and walked through the alleys. We noticed a lot of “vintage” and antique shops in this area. 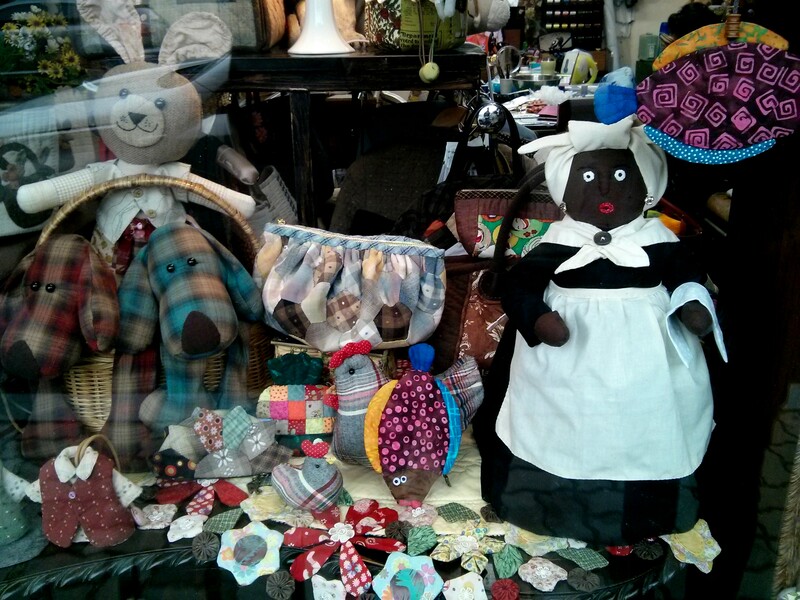 This particular shop below carried a very racist doll. We were weary of posting this since it is damn offensive, but it should be noted that apparently this is okay in Korea. I guess they don’t know the connotation behind this doll? The antique shops weren’t our thing so we went home to take a food nap. We went out again later that night. 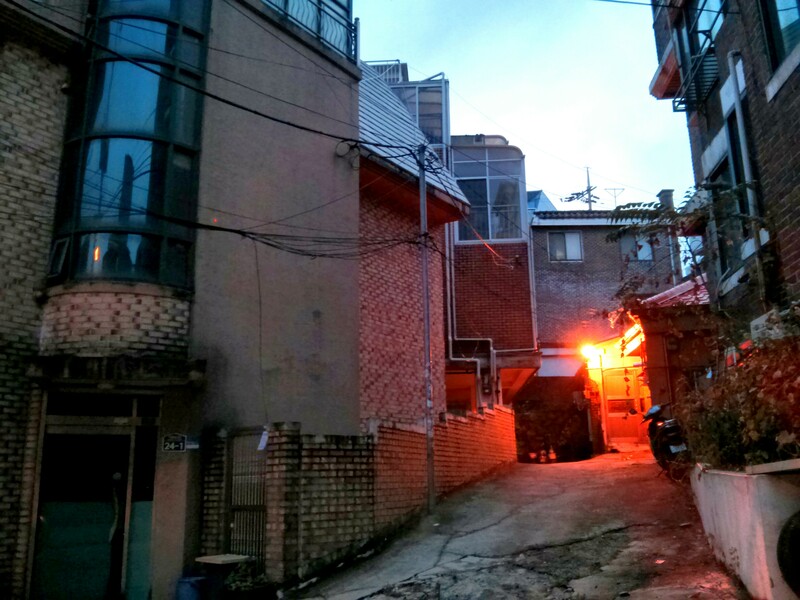 When we walked through Itaewon for the second time it was like a completely different place in the dark. There were foreigners everywhere, and most of them were heavily intoxicated. Was it nice to see Westerners? No not really. It kind of made me feel like I wasn’t in Korea. I traveled across the world to see people from back home that I dislike. That was kind of a bummer. We found a taco bell and went inside. Yeah, we did. It’s not easy being veg in Korea. Inside a westerner stumbled around trying to order food but realized he didn’t have his wallet and stumbled out. We got our burrito fix then walked around some more before calling it a night around 1am. We’re old. The next day we walked through the Itaewon district again and I shot some more photos. We went to a mall and I shot this from the roof before we headed back home. The drive back only took an hour and 30 minutes. All in all it was a pretty good weekend. We were only there for a short amount of time but it was nice to be in a bigger city and just a different environment. We will definitely be going back.